Ho-hum, what to do with chicken? Seriously I think I’ve eaten chicken in every way possible. We tend to always have chicken on Monday and even though it is Friday, we haven’t had chicken all week what with traveling back from St. George on Monday that we decide to break with tradition. I am usually not a fan of chicken thighs. This is mostly because the ones that you buy at the store are giant. They must come from some Godzilla chicken. And due to their mature-ness, I perceive a gaminess about them which I don’t like. But cover them up with enough spices and I can’t tell the difference. 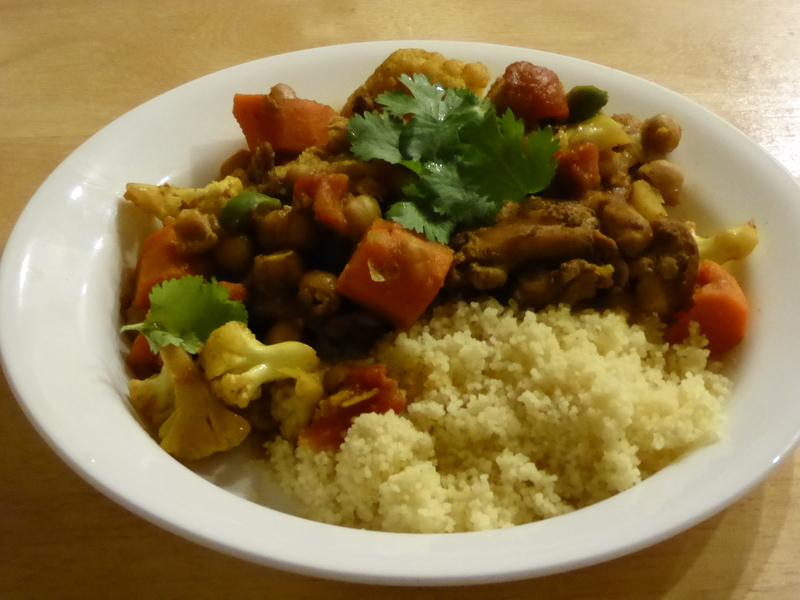 This entry was posted in Poultry and tagged chicken tagine cauliflower chickpeas. Bookmark the permalink.